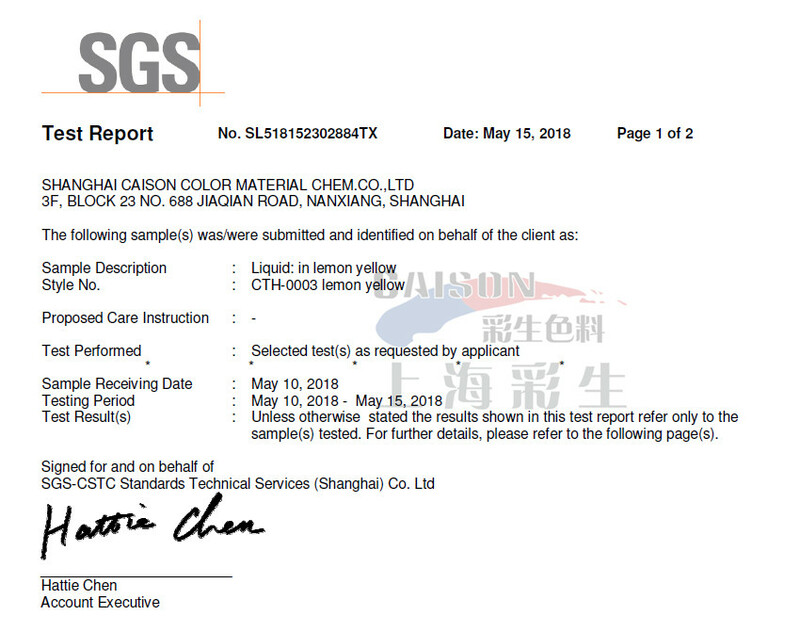 In May, we had sent pigment paste samples to the SGS testing organization for the detection of formaldehyde content in fluorescent lemon yellow pigment colorant CTH-0003. 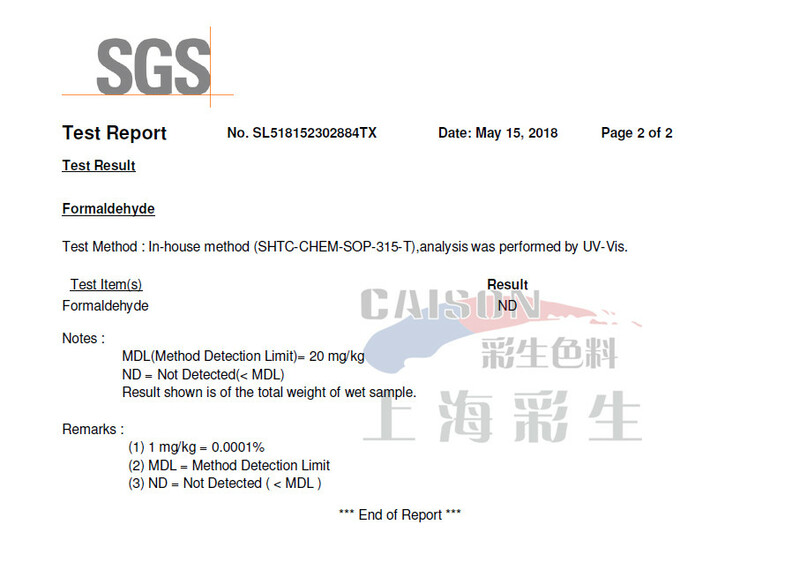 After about two weeks, we had gotten the testing report, the result was formaldehyde free. So if you need any fluorescent colors of liquid pigment paste or pigment dispersion, please feel free to contact us. Or you can find us in caisoncolor.en.alibaba.com.